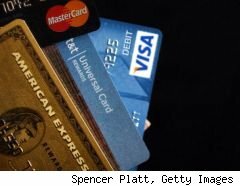 Nobody wants to get nailed with unexpected credit card charges in this economy. Who's got money to waste? If you've ever been startled by tiny little charges appearing on your monthly statement that contain the words "rewards," or "club" you swear you didn't pay for, there's a fairly good chance you've done business with Webloyalty, Vertrue or Affinion, though you didn't know it at the time. A boatload of consumers are with you. And that's why these three companies, all privately owned, half an hour drive from each other on I-95 in Stamford and Norwalk, Conn., recently found themselves the subject of an investigation by the Senate Commerce Committee. From what I've heard, they haven't been particularly cooperative so far. But when it comes down to it, none of them have had to be. The FTC really hasn't done much, despite some excellent suggestions. In the past, Webloyalty has acted as if it had something to hide, developing something of a reputation over the years for trying to bury negative information about itself -- though its efforts to do so with an investigation we did at Consumer Reports Webwatch in September 2005 led to what could live today as a lesson for companies about how not to go about this sort of thing. Hint: Don't publish a client list on your Web site if they've hired you to SEO their bad results off the first page of search returns. Take the lead from Kekst, the PR company Webloyalty (and AIG) hired. They're known for not publishing client lists. However, Webloyalty may have learned from past mistakes. Webloyalty's corporate PR office e-mailed me after I Twittered that I was looking for former employees of these three companies -- no luck, I probably would have done better hitting some of the bars in downtown Stamford -- to ask if I needed anything. I wanted to know: How is the company considering changing its practices in light of the congressional investigation? "Although the incidence of individuals who appear to have clicked through our process without reading what they were doing is quite small as compared to all of our members, even a few is too many," Beth Kitchener, Webloyalty's vice president of corporate communications, said in an e-mail exchange. "The class action lawsuit settlement as well as the issues raised by the Senate Commerce Committee put an exclamation point on the need to get this number as low as possible." As of Aug. 1, Kitchener said, one key change is that Webloyalty "now require[s] customers to enter the last four digits of the credit card they used for the purchase they just made from our marketing partner to confirm they want to charge that same card for a Webloyalty membership. If they enter a number that doesn't match, we don't sign them up." That seems to be a step in the right direction. Many consumers take requests for surveys and $10 rebates after a transaction as coming from the Web site they just did business with, which could be Chase or Orbitz or some other well-known brand, and don't expect some kind of quasi-identity-theft in the background, even if they enter some blow-off e-mail address just to get to the next screen. An extra step requiring the consumer to actually part with credit card information a second time, should make a difference. Interestingly, Kitchener said, "None of our competitors have adopted this form of affirmative consent. We hope they will follow our lead." So: Let's ask the same question of Vertrue and Affinion. Is Webloyalty right? Or are you changing your practices? How? More next week.